Building Collector: The District National Bank Building in D.C. The District National Bank Building in D.C. 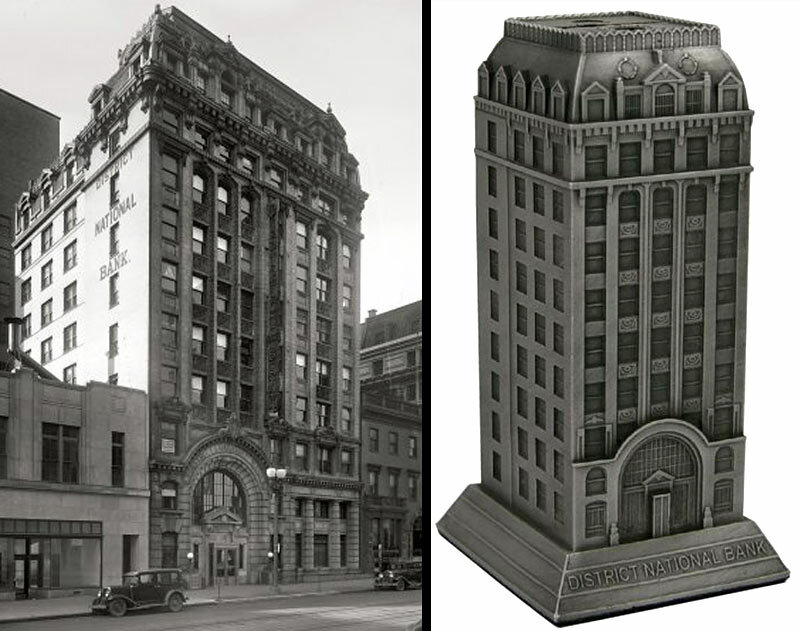 The old District National Bank in Washington, D.C. was a grand structure with a distinctive mansard roof. I say ‘was’ because it was sadly demolished to make way for the unremarkable Metropolitan Square. 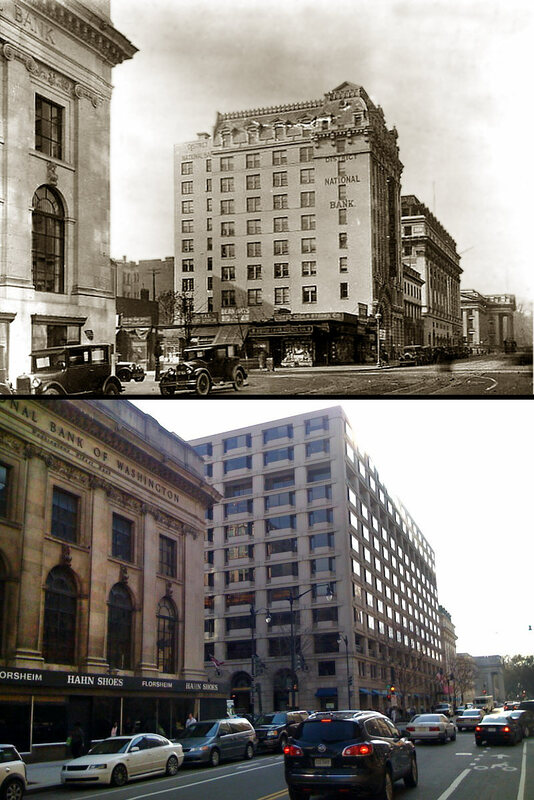 I found a historic photo of the bank in the middle of the blog in D.C. and also shot a current photo of the same block. You can see the Treasury building in the distance on the right and the old bank building on the left is still there too. In 1911, the ten-story District National Bank Building was constructed at 1406 G Street, NW, to serve as the company's headquarters. 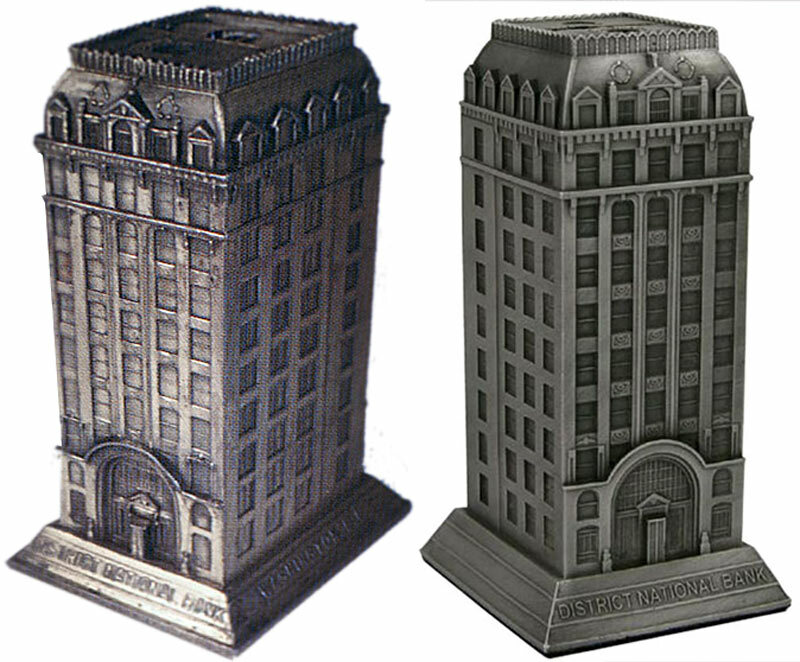 A rare antique souvenir building coin bank version was made by KO in the 1920’s and stood 5 inches tall. InFocusTech produces its own version of this classic bank structure.